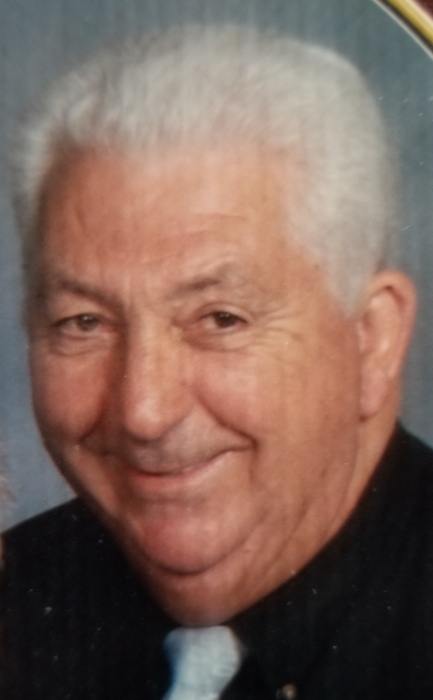 HEISER, Carl “Gene”, age 86, of Rockford, Ohio passed away at 9:45 p.m. on Monday, September 24, 2018, at the Laurels of Shane Hill in Rockford, Ohio. Carl was born June 27, 1932 in Union City, Ohio to the late Lawrence Grant Heiser & Wanda Lucille Heiser (Boise). Carl was preceded in death by his wife, Evabell “Evie” Heiser whom he married June 23, 1967. He is survived by sons & daughters-in-law, Michael & Teresa Heiser and Rodney & Jan Heiser; a daughter Pamela Beahrs all of Rockford; step-son & daughter-in-law, Timothy & Michele Staley of Tipp City, Ohio; step-daughter & son-in-law, Theresa & Don Edwards of Kettering, Ohio; 13 grandchildren and 14 great-grandchildren; brother Ted (Pam) Heiser and sister-in-law of New Madison, Ohio; and sister-in-law Sue Heiser of Celina, Ohio. In addition to his parents, Carl was also preceded in death by a great-granddaughter, Thalia Christlieb, a brother Dan Heiser and a step-daughter Melinda Clarke. Carl retired from Kroger’s where he was a manager for 40 plus years. Carl served in the Korean War with the US Navy. He was a lifetime member of the American Legion. Carl and his wife loved boating, snowmobiling, and traveling together. They enjoyed several years of retirement in Naples FL where they were very active with their many friends. So, his family will be having a Celebration of Life on Wednesday, October 3 at 6:00 p.m. at the new Community Building at Shanes Park in Rockford.